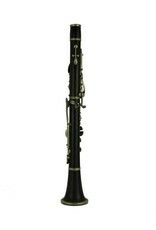 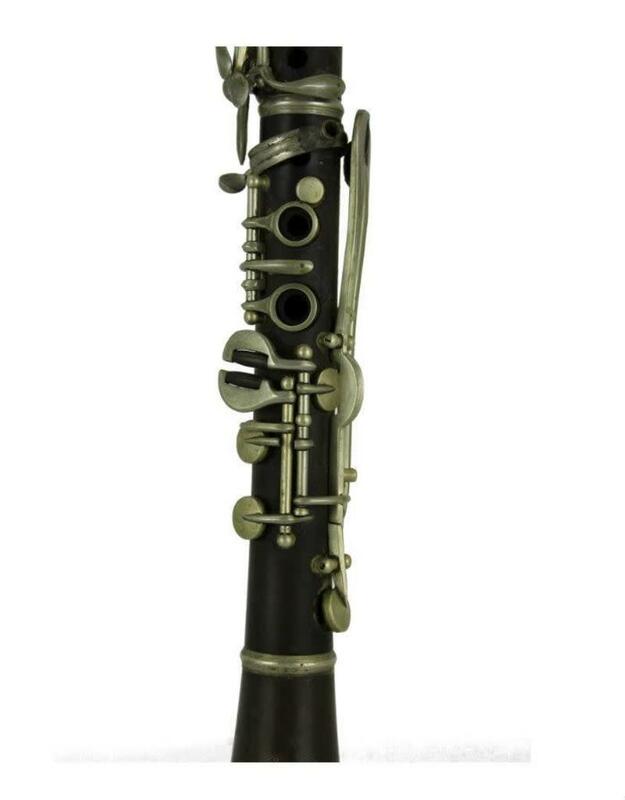 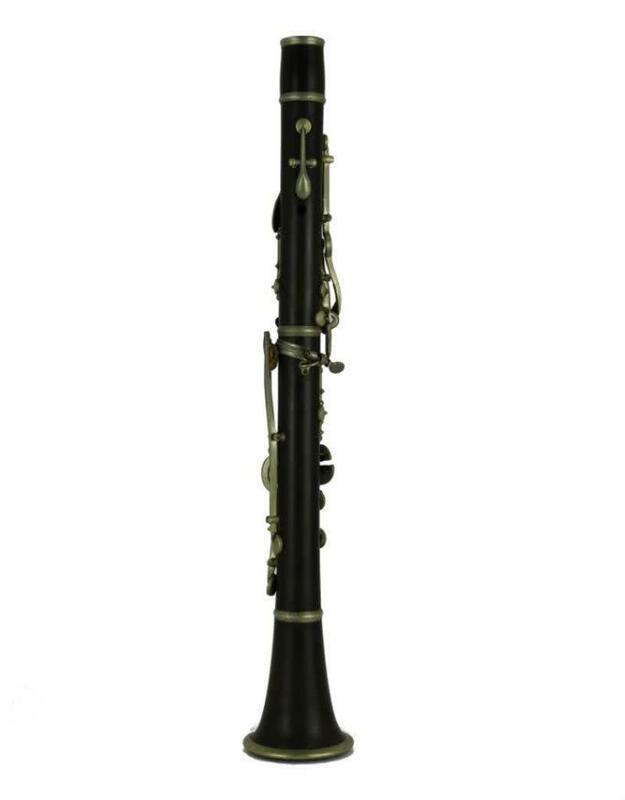 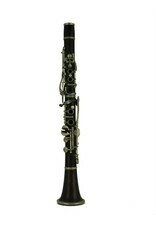 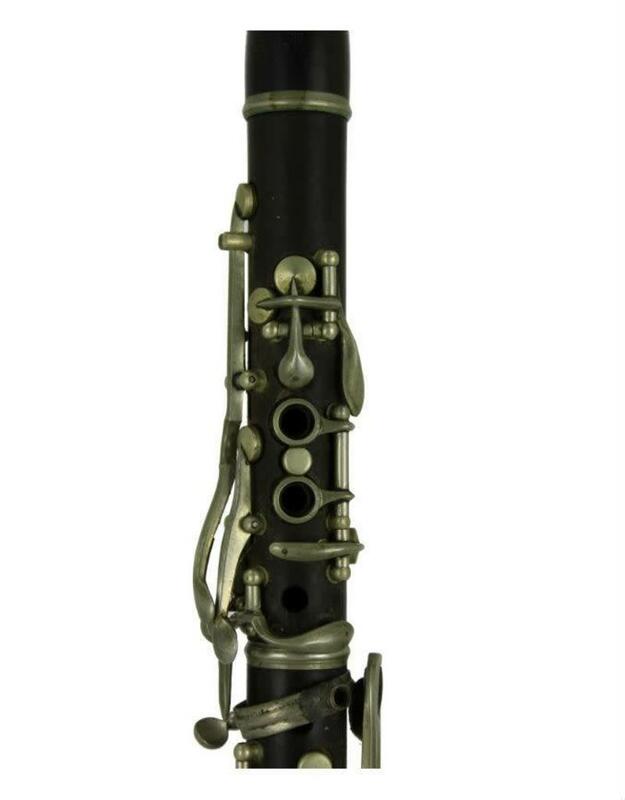 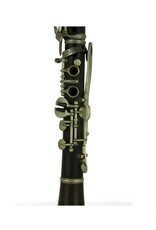 This plastic Eb Albert system soprano clarinet was built by Harry Pedler & Co. during the 1920's. 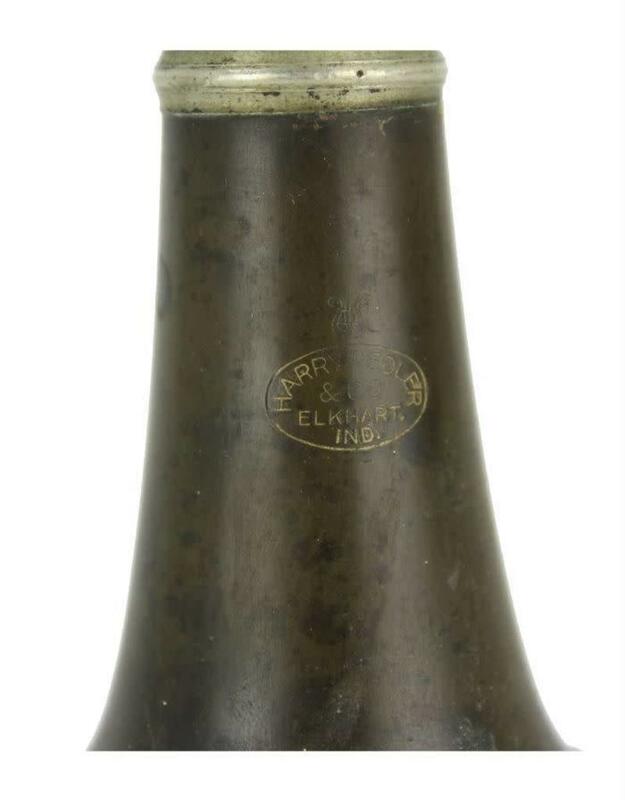 Pedler was born in England and worked for Rudall Carte & Co. before coming to the United States in 1906 and working for Conn. 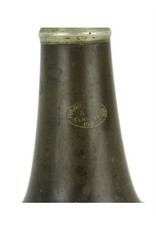 In 1916, he established his shop with Gronert, another British expat, as "American Manufacturing Co." When Gronert passed away in 1919, the company changed its name to "Harry Pedler Co." and remained in business until Pedler's retirement in 1930 when the company came under the management of Martin. 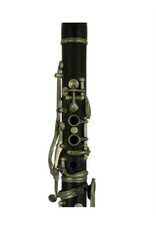 This instrument is in restorable condition. 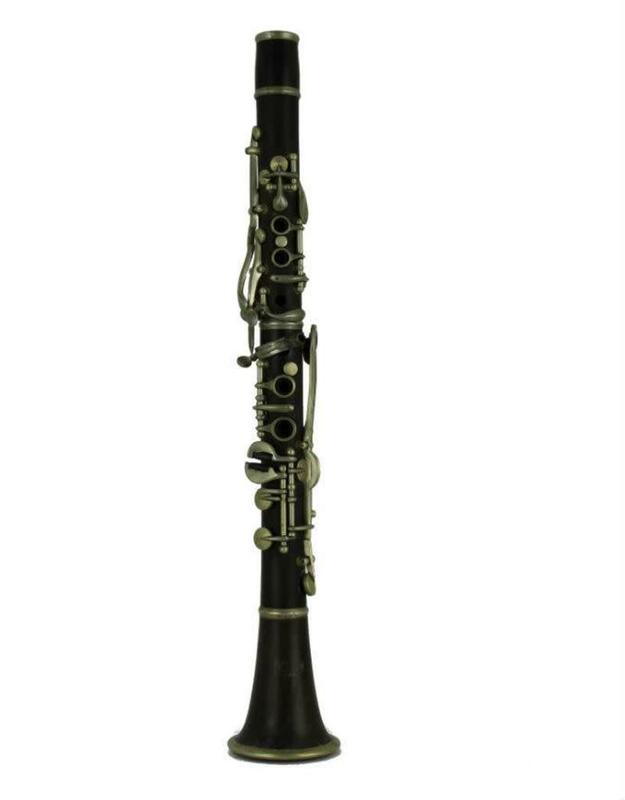 There are no chips or missing parts.